This 'Angel of the North' is regularly voted as one of the best places in the UK for a night out to celebrate any occasion. Whether it’s a Hen Party, Stag Do, Birthday Party or Event, there’s something to suit every taste and budget and when you experience the local hospitality you will fall in love with this fabulous city. 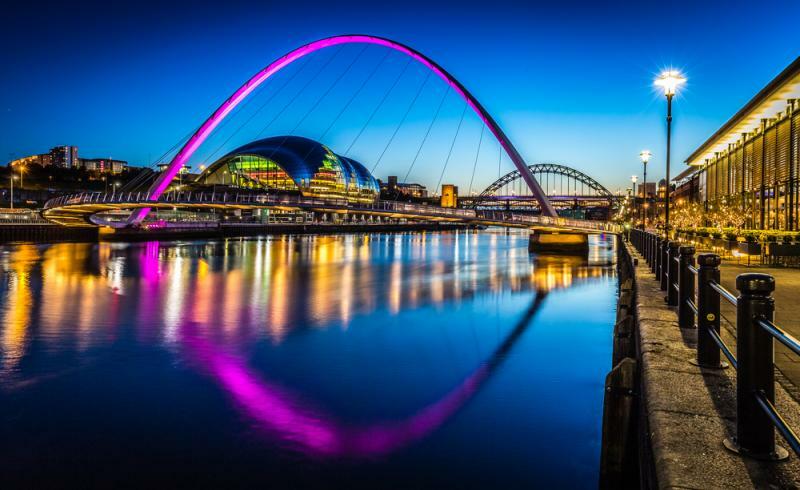 Nightlife in Newcastle is undoubtedly one of the best. With an outstanding bar and club culture, it’s the place where people love to party. Whether you’re looking for a lively night or prefer the more cool, sophisticated night out, we know all the good night spots, we’ve been to them all (in the name of research, of course!!!) and we are well qualified to recommend the best of them.......with VIP access guaranteed.There is a huge choice of hotels, apartments, restaurants, bars, nightclubs, and activities in the city and its surrounding areas, so why not let us do the work? Give us an idea of your group requirements, and we will be able to create your perfect Newcastle night out or weekend away. We pride ourselves in arranging unique, fun and memorable Hen weekends and events, making the most of our local knowledge and expertise. Take a look at our fantastic range of Accommodation, Daytime and Evening activities. Create and send us your personal wishlist or call our team to discuss your weekend plans in more detail.